Is Crowdfunding Going To Help The Power of Three? The novel is written. It needs editing, a cover , and then a giant marketing campaign to get it flying off the shelves. If you love books, like to help an indie-author realise the best polishing of a great ms, hop over to Indiegogo and peruse the campaign. Contribute what you can/want, or just share the campaign and help spread the word about it. Anyone who leaves a blog comment and contributes towards the campaign will get a surprise perk. Welcome to Author Wednesday. 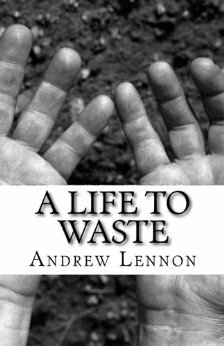 Today I welcome Andrew Lennon whose novel, A Life To Waste, follows the life of a middle-aged man named Dave. A tragic accident when he was younger caused him to give up on life. Now he spends his days drinking and mooching off his mother. One night his world is turned upside down when his mother is taken away. Dave tried to track down this “thing” and embarks on a horrifying and gruesome adventure. Andrew, I’m so glad you could visit my blog today. Your novel sounds intriguing as well as frightening. I’m always interested in how authors find their voice. 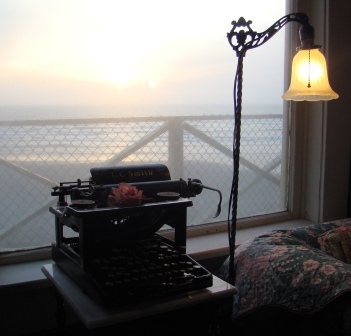 Do you remember when you discovered your voice as a writer?